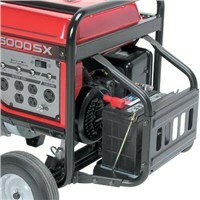 Some Honda generators are recoil start, but the models listed below require just a battery and battery tray kit to add electric start. Our battery tray kit is an all-steel, bolt-on kit. Note: We recommend using a battery tender when storing.